Most Australians use their garage door several times a day and may even take its functionality and convenience for granted due to our regular usage of it. We store many of our precious belongings in our garages, trust our cars to remain safe in our garages and also often use it as a point of entry into our homes. Unfortunately, we tend to only think about the state of our garage door if a problem arises. If these problems are left to worsen, repairs can become costly and your garage door may even present a physical threat to you and your family. Keep an eye out for the following signs that may indicate your garage door needs repairs before it becomes an even bigger problem. 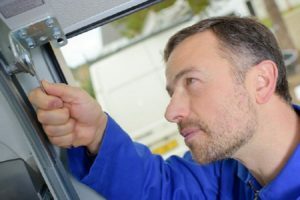 Your garage door isn’t opening or closing: If your door is simply not opening and closing as it should, it is clear that you will need prompt repairs. This could be as a result of a bad connection between the door and control panel, or because something is blocking the door’s mechanisms. Thankfully, this problem can easily be remedied by a garage door specialist. 2. Part of your garage door is sagging: An off-balance garage door is a sure sign that bigger problems are looming on the horizon. You can check your garage door’s balance yourself by disconnecting the opener from the door and opening your door manually. Lower the door midway and let it rest – if it is properly balanced, it should not rise or fall at all. If it does, you have a more deeply-rooted problem with your garage door that needs to be addressed by an expert. 3. 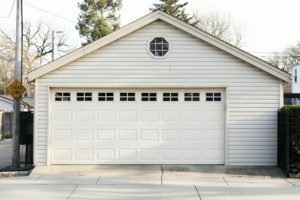 Your garage door is noisy: Old garage doors will tend to make noise, but if you notice excessive creaking or signs of strain, there is likely a problem with the springs, opener bracket or opener. A strange noise today could mean a garage collapse tomorrow, so make sure to contact a garage specialist immediately for garage door repairs! 4. Your garage door shakes or jars when in motion: A shaking garage door indicates that parts of it may be broken. Jerking movements could result in a total collapse, meaning it is imperative to have your door replaced or repaired immediately. Do not attempt to fix this issue yourself, as a garage door is extremely tensely loaded and presents a serious risk to people when not functioning properly. 5. Your energy bills have suddenly increased: If your household’s energy expenses are suddenly out of control, consider what appliances in your home may be contributing. It could be your heater, air conditioning or even your garage door. If your garage door is old, it could be using more energy than it needs. Consider upgrading to a newer, energy efficient model to save money in the long run. 6. Your garage door operates slowly: The whole point of having a garage door is for increased convenience. If your garage door is slow to respond, you are not able to enjoy the convenience it is supposed to provide, with this generally being a fault of the opener or the door itself. Bear in mind that a properly functioning garage door should respond within a second or two of you pressing the button on your remote control. Call a professional immediately to ensure that this problem doesn’t worsen into a much more serious one. 7. Your garage door has gone off the tracks: A garage door that has derailed its tracks is bound to malfunction and become stuck. Old garage doors or those that have not been maintained well are most likely to experience this problem. In this case, do not attempt any DIY garage door repairs. Instead, contact a professional, who will be able to make the necessary replacements and repairs with the correct parts. A broken or malfunctioning garage can present a huge hassle and even a risk to your property and the security of your family. If you have noticed any of the above signs, you are probably in need of garage door repairs. Remember to not put off any required repairs, as this could lead to more costly, time-consuming repairs in the future! Previous articleHow Oxygen Therapy Strengthens The Immune System?